This post is sponsored by Reading Eggs, an online reading program for kids. As a mom of three and a former teacher, I am always looking for new ways to get my kids excited about learning. Although I don't use very many educational apps or computer programs with my kids, occasionally we pair learning activities and technology. Today I am going to share an easy preschool phonics activity with you along with my review of the Reading Eggs online reading program for 3-7 year olds. We had a great time exploring the online program and then working on similar skills during offline activities! 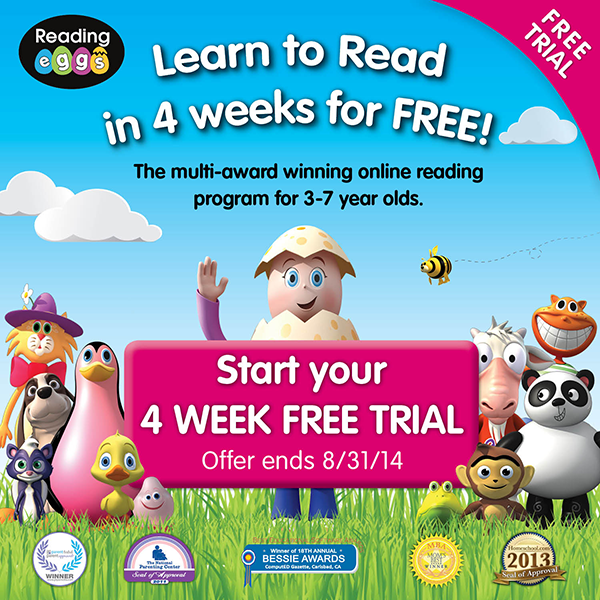 Reading Eggs is offering all Toddler Approved readers a FREE 4 week trial of the course so you can try it out too! Make sure to scroll down and check out the details. A few years ago I shared a pop the top for kindness activity where we used cleaned out baby puff containers. This month we've had fun using and re-using our puff containers to play a pop and drop phonics game using a similar idea. In the Reading Eggs online program kids ages 3 and 4 learn simple phonics skills and letter recognition. My 3.5 year old was really excited to explore the program. One of her favorite activities online was related to finding pictures that started with different letter sounds. In our Pop and Drop game we decided to pick one sound to focus on each time we played our game and we tried to drop all of the pictures that started with that same sound into the baby puffs container! To start off we decided which sound we want to focus on. My daughter loved learning about the /m/ sounds in the Reading Eggs program, so we started with that one. We talked about the /m/ sound and figured out which letter made that sound and we stuck a letter M sticker on the top of the puff container. Next we adhered our pictures to the outside of the puff container. Laminating the pictures will make them more durable. Using velcro will make it so you can use this activity again and again easily. We used photos that started with the /m/ sound and photos that started with the /t/ sound because those sounds are very different and pretty easy to distinguish between. To play we would say the sound on the top of the container and then my daughter would find the photos that started with that same sound and she'd POP the top off of the puff container and DROP the correct pictures inside! To switch the game up we just changed the photos and stuck a new alphabet letter sticker on the top of the container. This was a great way to practice listening for beginning sounds. Once we finished putting all of the correct pictures inside the container, we dumped it out and looked all of the pictures again. 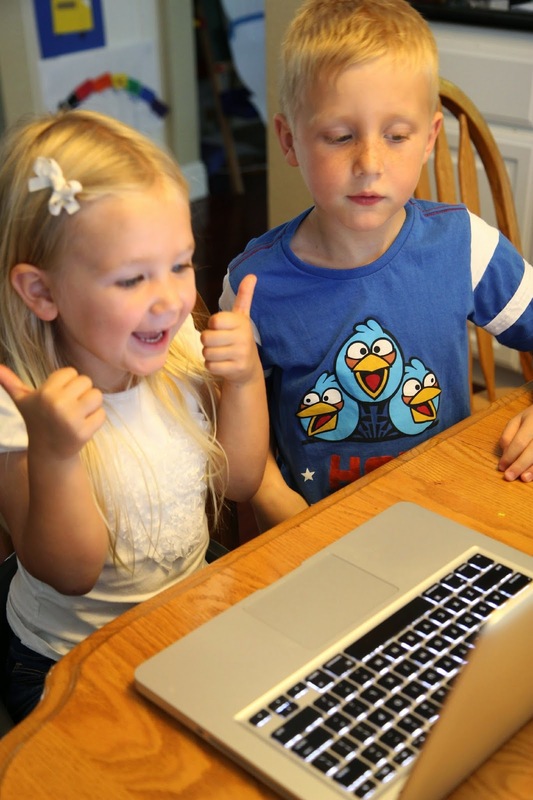 The Reading Eggs online program is fun to play before or after our Pop and Drop game! The skills taught in the game and in the online program work well together to help get kids listening, learning, and developing crucial skills needed to be able to read. If the Reading Eggs online program is new to you, I'd love to share a few brief details about it and then let you know what we liked about it and what we'd love to see added. Since Toddler Approved shares activities and products for kids 0-6 we mostly only focused on the online program for those ages, and specifically for the preschool age kids. "I am good at this game!" " I want to play forever." My favorite part about the Reading Eggs program is that it starts at a very basic level and makes it possible for all kids to be successful immediately. During the first section we worked on the /m/ sound and the /s/ sound and the lesson gave a really simple introduction to the letter sound, introduced the letters (capital and lowercase), and then let kids interact with the letter sound. I liked that the program focused on the sounds that kids were hearing instead of just the alphabet letter. Although the program was fun, there were several challenging moments for my daughter while using the computer or while listening to instructions. Reading Eggs is broken down into short sequential lessons. I would recommend participating in the short lessons one at a time and then doing other related activities or just going to read a book together. I also liked that sitting next to my daughter and watching her explore the game gave me a very clear perspective on what she knows/doesn't know and helped give me a baseline for where she is on the learning to read continuum. In our home we use Reading Eggs as a fun way to supplement the reading activities we are already doing. The online program does not take the place of simple things like reading together. I also love to have my two older kids explore the program together because they are able to help one another and teach each other. My kids loved the silly songs and dances and videos embedded into the program. They also loved that there were little stars next to some of the activities which helped them measure how they were doing. I liked that the program helped my daughter practice perserving through challenges and gave her consistent feedback on how she was doing, along with encouragement. The program was really good for her self-esteem. I also loved how the images and words were consistent and the amount of vocabulary introduced in the preschool section was not overwhelming. There were a few sections of the program that seemed to move a little too fast for my daughter and there were a few activities that required more clicking and dragging than my daughter was capable of doing. In those cases since I was sitting next to her I broke down the activity and I did the clicking and dragging for her while she told me the answers. My kid's review of Reading Eggs was overwhelmingly positive. They both are constantly asking to explore the program more. I loved that the program is ad free and so kid friendly too! The program is also offered on iPad/iPhone and Android although we preferred using the computer because the images were much bigger and easier to interact with! You can get a ★ FREE 4 week trial of Reading Eggs ★ to test out the program and see how it works for your kids! Please note that reading is a process and although Reading Eggs will help teach your child many skills to help them develop their reading abilities, your 3-5 year olds will not be reading at the end of four weeks. Don't forget to TELL YOUR FRIENDS so their children can also try Reading Eggs for free! Please note this offer is valid NOW through 8/31/14. Note: I enjoy using technology in moderation in our home with my kids, especially for educational purposes. Not all parents choose to use technology in their homes for learning or play and that is totally fine. Do what works best for your family! 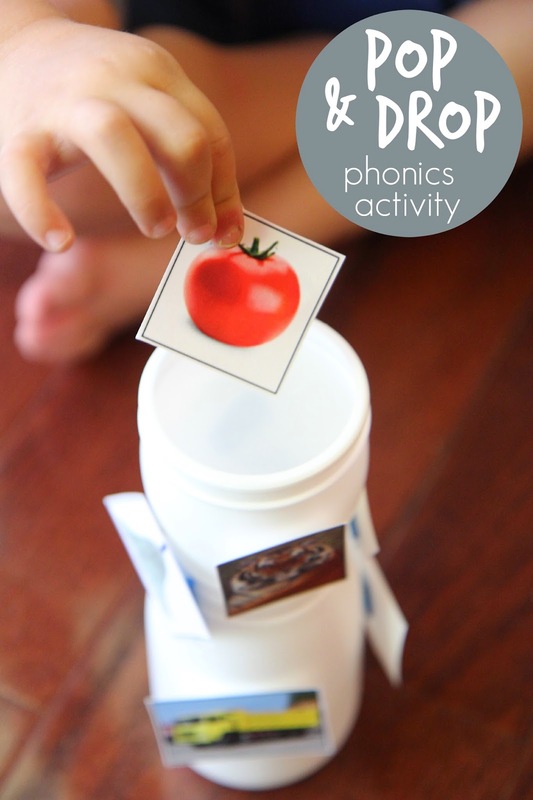 Do you have any other simple phonics activities you've done with your kids? Have you tried Reading Eggs before? Disclosure: This review post is sponsored by Reading Eggs, an online reading program for kids. All opnions are mine. Although I am compensated for my time and effort to share posts, payment does not guarantee a positive review. I only recommend products and services that I would personally purchase for our family. We use Reading Eggs at the school I work at, so every child gets free access at home as well, in order to supplement work carried out in class. It always seems to go down well and get the children excited about reading. It also captures the attention of the SEN children that can find it difficult to access phonics/reading. I have had great success using Reading Eggs with children with autism so would recommend it for any child.